Print your own Moby, of course! Have you just (mic)dropped most your annual departmental budget on a new 3D printer? Your mind is probably swimming with all the possible applications from engineering projects to STEM engagement to making your very own Egg Rescue Challenge. But your class (and colleagues!) will likely have a bunch of questions. What can 3D printers print (and not print)? And can we just get on and print a Moby already? In this lesson plan, adapted from our Educators support site, students will learn what 3D printers are and sketch a useful object that they’d like to make with a 3D printer. And print a little Moby figurine, with your fancy pants new printer! Ask students to research online about 3D printing and write down any questions they have about the topic, plus something they'd like to create using a 3D printer. Share the Graphic Organizer with your students, so they can write down and discuss what they KNOW, and what they WANT to know in the first two columns. Play the 3D Printing Movie for the class. Return to the graphic organizer. Is there any information they thought they knew that was incorrect? What new information do they have now? Which questions were answered and which remain unanswered? Are there any new questions that students have? 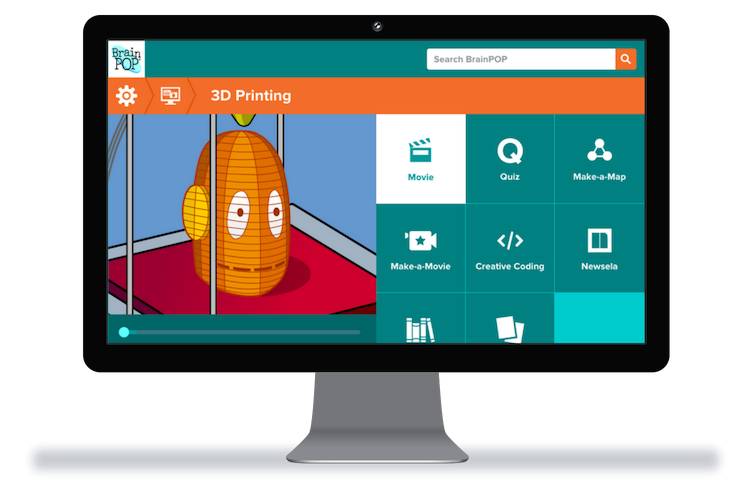 If you have access to a 3D printer in your classroom, tell students they will have the opportunity to print their own 3D Moby, just like in the BrainPOP movie. Show students what the 3D Moby .stl file and printer look like and demonstrate how to print. Pass out copies of the Activity (or graph paper), and encourage students to sketch something that is both useful and simple enough to print on a 3D printer. Allow students to share their ideas and creations with the class. You can assess student learning using the Quiz. Have students work collaboratively to research the answers to any questions from the KWL chart that were not addressed through the BrainPOP movie. They can use the Related Reading resources to help.